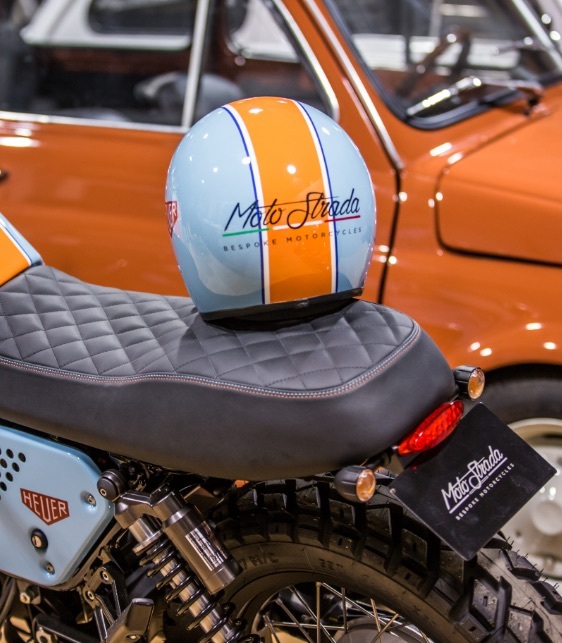 At Moto Strada we buy and sell an eclectic mix of modern-classic motorcycles and cars. We like to source the finest assortment of collectable vehicles, enhance them sympathetically, with style, and offer our customers a truly personal service. Based in the rolling hills of the North Yorkshire Dales, we offer a small handpicked selection of interesting vehicles that are available to view by appointment and test drive on our doorstep. I was introduced to Mark a few years ago. I was apprehensive about people coming to my property, as I was looking to sell a large proportion of my motorcycle collection ranging from Manxs Nortons through to Honda RC30’s. Mark bought some motorcycles from me initially outright, and advised me that in order to achieve the best return on the remainder of my collection, it would be better for me to sell these on consignment; which we did, completely hassle free. I have a large collection of motorcycles most of which have been sourced through Mark or with his help. Mark is extremely knowledgeable, trustworthy and is a genuinely good friend. I’ve known Mark for many years, as a friend and in business. Mark is fair, reliable and trustworthy. He has a great eye for finding rare and collectable bikes. Mark has great eye for detail and sourcing rare finds. He understands my collection and knows what I’m interested in. I trust Mark and have recommended him to friends. I contacted Mark over a year ago as I was looking to sell my MV Agusta Senna, I had researched Motostrada as they had sold similar bikes previously. Mark offered to buy the bike off me for his stock, however in order to get the price I was hoping for Mark offered to sell it through his consignment service which took only a matter of days. Since then he has sold a further MV Agusta on my behalf and sourced a brand new Triumph at a great price. I would highly recommend Mark to friends.